Bulgarians abroad wishing to vote in the May 12 snap general elections have a deadline of Thursday, April 11, to file an application to do so, the Foreign Affairs Ministry reminds. 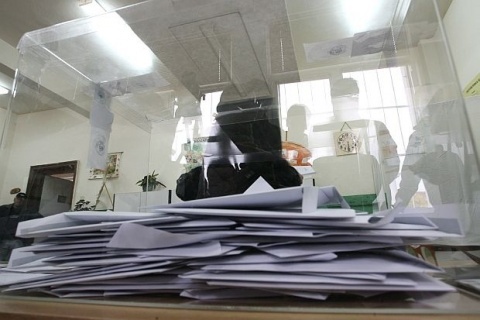 The 24-day deadline was issued by a decision of the country's electoral body, the Central Electoral Commission, CEC. Meanwhile, Bulgaria's caretaker government decided at its regularly-scheduled Wednesday meeting to slate an additional BGN 160 000 for polls abroad. At the beginning of March, 2012, the then-outgoing Cabinet of Prime Minister, Boyko Borisov, and his centrist Citizens for European Development of Bulgaria party, GERB, approved the amount of BGN 550 000 for the vote outside the country. The additional sum will be used for technical equipment and communications of the electoral commissions abroad, the government press center informs. The caretaker Cabinet further decided to eliminate the task of Bulgaria's Foreign Ministry to organize an international press center for election briefings and assigned it to the news agency BTA, which is to receive BGN 50 000 for the job. According to the Election Code, 20 applications are needed in order to open a voting poll in a city where Bulgaria has a consular office or diplomatic representation, while where there is no such representation, the number of required applications is 100. The applications can be downloaded from the official site of the Foreign Affairs Ministry and can be sent by mail. Voting abroad is further complicated by the attempt to avoid doubling names of expats in the voting lists of Bulgaria's Civil Registration and Administrative Services Department (GRAO) where they are included if they have a permanent residential address in Bulgaria. If they do not register ahead of election day, these voters would have to bring to the poll an additional document – a form declaration with their personal data. CEC is to announce the locations of voting polls abroad by April 12.